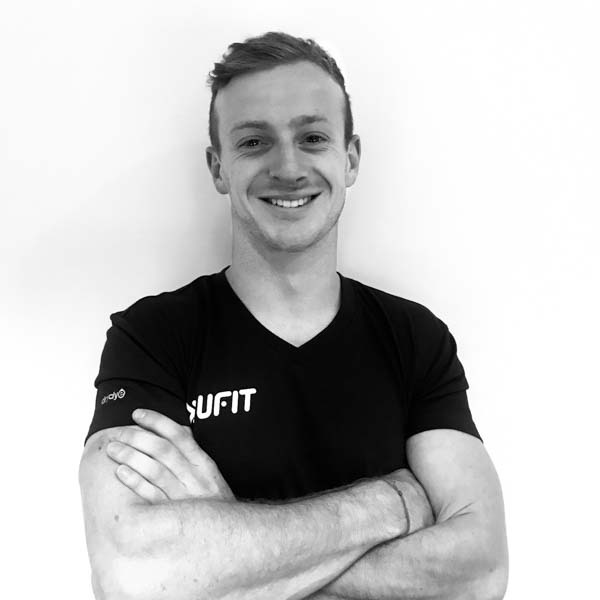 UFIT Orchard Trainer Aaron Tregaskes explains how changing a few things in your life such as exercise, social interaction and breath control can make huge differences to how your body deals with stress. Stress occurs in a situation which you perceive to be a threat or challenge. This is called a stressor. A stressor knocks your nervous system out of homeostasis (balance). Your body then activates a stress-response system in order to cope with the threat or stressor at hand. 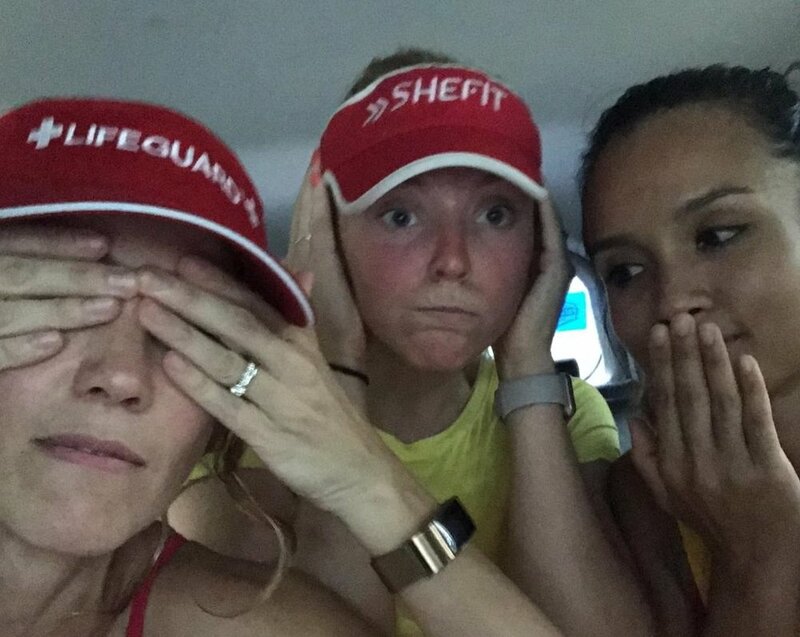 Stress as most of us consider it is a psychological event, however, our stress-response was designed to combat a physical stressor not a psychological stressor. The purpose of your stress-response is to enhance physical capabilities such as increase heart rate, increase respiration rate, heighten senses in order give you a greater chance of survival in a potentially life threatening or harmful situation. If you’re an animal living in the jungle this obviously is an extremely useful function, however, for humans living in a civilised world where the chances of being eaten by a larger predator don’t exist anymore the stress-response isn’t needed as much as it once was. Our problem now lies in our newly developed ability to switch on our stress-response with our thoughts. A bodily function designed to be used now and again in response to an acute physical stressor becomes stimulated regularly by our brains over traffic jams and deadlines. In order to understand your stress-response you must understand your nervous system. Your nervous system has two side to the scale, sympathetic & parasympathetic. Switching on your stress-response stimulates your sympathetic nervous system, your fight or flight response. All stations are go and your body works overtime to prepare you for a stressor. 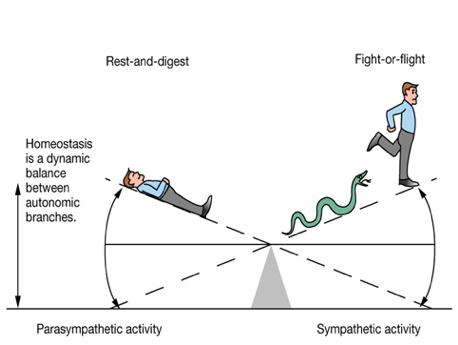 In times of rest your parasympathetic side kicks into play in order to return your body back towards homeostasis (balance), known as your rest and digest phase. Imagine your nervous system as a scale either swaying towards sympathetic or the parasympathetic side. Heart rate increases – Increased blood flow to working muscles to run/fight if necessary. Blood vessels constrict – Smaller blood vessels = higher blood pressure, delivery of blood becomes faster to working muscles. Respiration Rate increases – Higher delivery of oxygen into your blood. Hearing Improved – When on edge during a scary film how many times do you hear the slightest noise from the room next door. Improved cognition / memory – If in danger what a better time to remember how to deal with this experience from previous history. Memory also increases, hence why you always remember situations from your past/ childhood which stimulated your stress-response like the first time being told off, or breaking your arm. Digestive system shuts down – In times of stress / nerves typically you have a loss of appetite. Digestion is a waste of energy during a potential life or death situation. Bladder muscles relax – When you hear about people in life or death situations and they wee themselves. If you were running away from a predator a full bladder is extra weight to carry so release it and increase the chance of survival. Pain Reduced – Stress produced analgesia is a common response, during a sports match you typically don’t feel your bruises until post match. During a chronically high stressed state such as in the world war, the stopped just giving patients morphine who had lower limb injuries, they asked them if they needed it before giving it to them as many of them didn’t even know they had lost a limb. High amounts of stress can be an analgesic (pain killer), as what a bad time to be crippled with intense pain when you’re being chased by a predator. Why is regularly or chronically switching on that stress-response a bad thing? Staying in a stressed sympathetic state has a massively high metabolic cost on your body, the body uses every last resource to give you a greater chance of survival, this high cost will lower your immune systems response and impact. Switching on your stress-response all too regularly will massively increase your chances of becoming sick. A large amount of research and evidence shows that frequently activating our stress-response psychologically can cause stress related diseases. Stress is a massive driver of inflammation in your body, combined with a lowered immune function, only adds to the possibility of sickness and disease becoming present. - Serotonin – linked to feelings of happiness & positive well-being. - Dopamine – A big driver of motivation and reward-motivated behavior. - Norepinephrine – Drives physiological systems during the stress response, helps the stress-response work effectively under times of stress. - Cortisol – Stress hormone produced by your body if chronically elevated can cause havoc disrupting normal hormonal function in your body. Common problems with hormone imbalance leads to Depression, Sleeping problems (insomnia), eating disorders or changes in appetite, libido. If stress causes your blood pressure to rise, chronic stress will cause your blood pressure to chronically be high. Your blood vessels are designed to regulate blood flow through around your body, chronic high blood pressure causes the blood vessels to work so hard to regulate blood flow, in turn they grow thicker and more rigid to control the blood flow. When they become so rigid and thick that the can no longer dilate you have developed chronic high blood pressure. So minus the chronic stress, you have chronic high blood pressure due to rigid blood vessels. The high speed of the blood causes blood to return to your heart at a rate of knotts with high force. Similar to the blood vessels the hearts wall grows thicker with muscle, causing ‘left ventricular hypertrophy’. This increased mass causes a lopsided heart. A lopsided heart increases the risk of an having irregular heartbeat and thus cardiac arrest. Your Vagus nerve links your breathing rate and heart rate together. Taking controlled deep breaths is an easy way to control your vagal tone (vagus nerve response), taking fast breaths will only stimulates your body into thinking it is in a fight or flight situation. Controlled breathing will cause down regulation of your vagus nerve, and in turn heart rate, blood pressure and stress-hormone responses. Controlled breathing is a skill, teaching your nervous system to down regulate through breathing is a skill, it can be improved the same as your drawing ability or running technique. - Apps such as headspace & 10% happier are great resources to use. Typically the ‘fitter’ your aerobic system is, the better control you have over your vagal tone. Your vagus nerve stimulates your parasympathetic nervous system and helps reduce your heart rate, keeping control of your heart rate during exercise and not becoming ‘gassed out’. After exercise your heart rate recovery is the time it takes for your heart rate to recover back to a baseline measure. Increased Aerobic Fitness = Greater control of your vagal tone = Faster heart rate recovery. Similar to exercise during a stressful situation, the fitter the individual the greater control of your vagal tone, the faster you will return your heart rate to a normal level and minimise negative feelings associated with your stress-response. High intensity exercise can be a huge driver of inflammation, often with exercise more is less, exercise is a stress, but give yourself time to recover you will do just that and become stronger and fitter. Try to stick to the 80/20 rule of low intensity exercise to high intensity exercise. Many people program 80% high intensity 20% low intensity and they wonder why they aren’t improving and their joints hurt. Endurance training doesn’t drive inflammation on the same scale and helps improve aerobic fitness and improves vagal tone and parasympathetic control. Obviously you need some intensity to create an adaptation but too much can send you down the inflammatory sickness route. Listen to your body and rest recover and don’t run it into the ground. One review compared different populations of athletes, endurance athletes were found to live 4.3 to 8 years longer than the average human life expectancy. And another study showed a clear relationship between VO2 Max and markers of inflammation. Social isolation has been linked to increased stress hormones such as cortisol in your body and social interaction and human touch stimulates your parasympathetic nervous system. Laughter has also been linked with lower cortisol levels and so too has music! So get yourself in the gym, out at a Bootcamp, in the pool wherever you like to train, get some music on and have a laugh with your friends. It makes life a whole lot let stressful. Aaron’s personal goals are to achieve all-round health and fitness, understanding that everything you do in life sways your body one way or another out of homeostasis, and knowing how far you can push yourself before needing to restore that balance.